Affect is a key component of nonverbal behaviour. 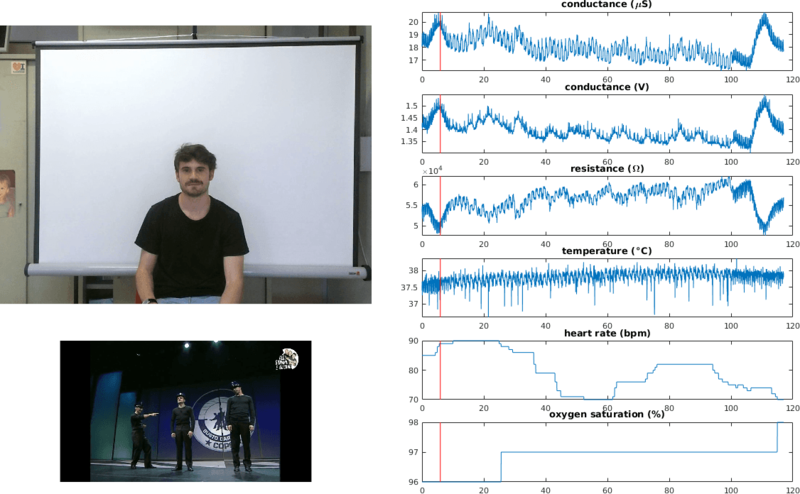 We have considered a simulationist approach to the analysis of facially displayed emotions - e.g., in the course of a face-to-face interaction between an expresser and an observer. The rationale behind the approach lies in the large body of evidence from affective neuroscience showing that when we observe emotional facial expressions, we react with congruent facial mimicry. The processing of facial cues is fundamental in social interactions. Probabilistic models have been adopted for modelling a somatic motor space representations of emotional facial expressions in the course of interaction. Further, neuroscience give evidence of a fast and pre-attentive route to facial expression detection in order to trigger subsequent analyses. Gaze is a relevant cue in social context, in both aspects of general gaze behaviour and gaze interaction. The research line we are pursuing considers gaze behaviour analysis and simulation from the perspective of stochastic processes and optimal foraging theories. In general, gaze shifts dynamics in attentional allocation is determined not just by stimulus-driven selection but, importantly, by social value as modulating the selection history of relevant multimodal items. Beyond visible nonverbal behaviour such as facial expressions and gaze, physiological signals carry important and “honest” information for understanding others’ behaviour. Indeed, it has been shown that they can be suitably exploited for both analysing and simulating core affect states. In that case heart rate variability from ECG and electro-dermal (EDA) signals have been exploited as captured by sensors along the experiment in a classic lab setting. Recognizing and interpreting emotions in other persons is crucial for social interactions. Nevertheless, how our brain analyses emotions remain poorly understood. Does the brain process emotions as different categories or rather as a continuum characterized by different amount of arousal and valence? 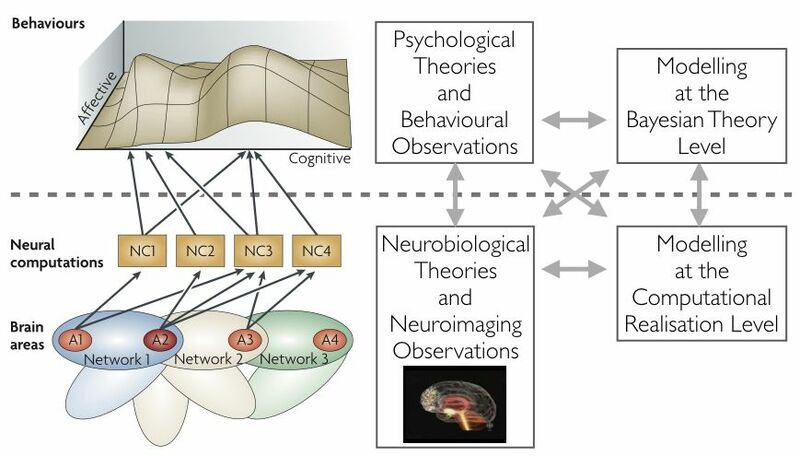 How do different networks of brain regions responsible for analyzing emotion interact with one another? Do they share information or is there redundancy between the different nodes of the networks? 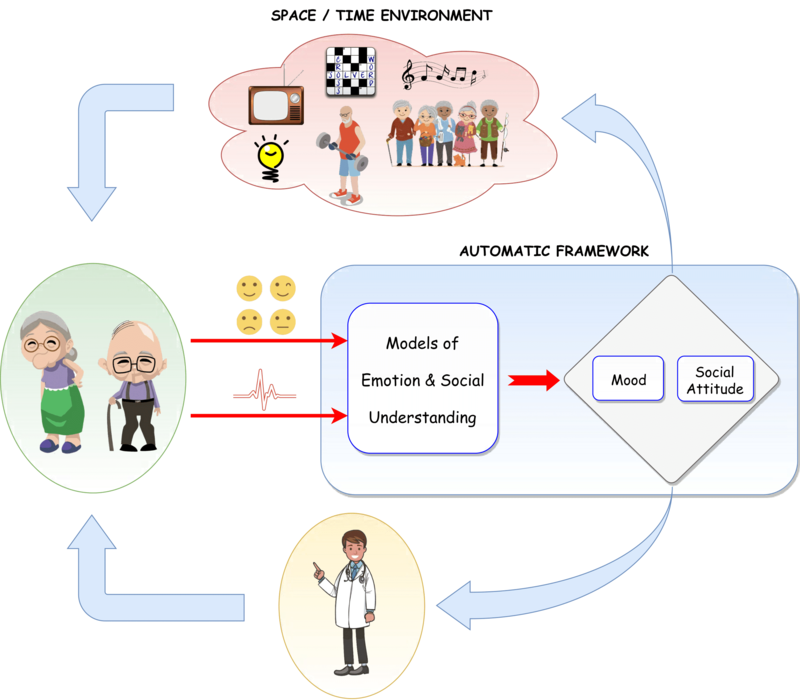 Several application domains could take advantage of the knowledge of the social signals. Among them, we address the emotional wellbeing for an aging population. This is a current issue emerged from the evidence that life expectancy keeps growing, augmenting the proportion of older people over the population, thus opened a social debate about how to face this phenomenon.